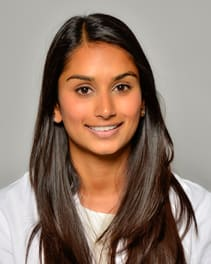 Nupur Patel is currently finishing up her year-long research fellowship in dermatology at Wake Forest School of Medicine. She will then become a 4th year medical student at University of South Florida. She graduated from Wake Forest University in 2011 with a degree in History. Nupur is passionate about the field of dermatology and believes in using a humanistic approach to medicine. Over the past year during her research fellowship, she has worked on a diverse group of projects, ranging from review articles about adult acne to clinical studies of medication adherence in psoriasis patients. As a future physician, Nupur hopes to help her patients achieve their skincare goals through an individualized approach to enhance their emotional and physical well-being.